American Standard 3705.216.222 H2Option Right Height Elongated bowl with bolt caps, Linen. 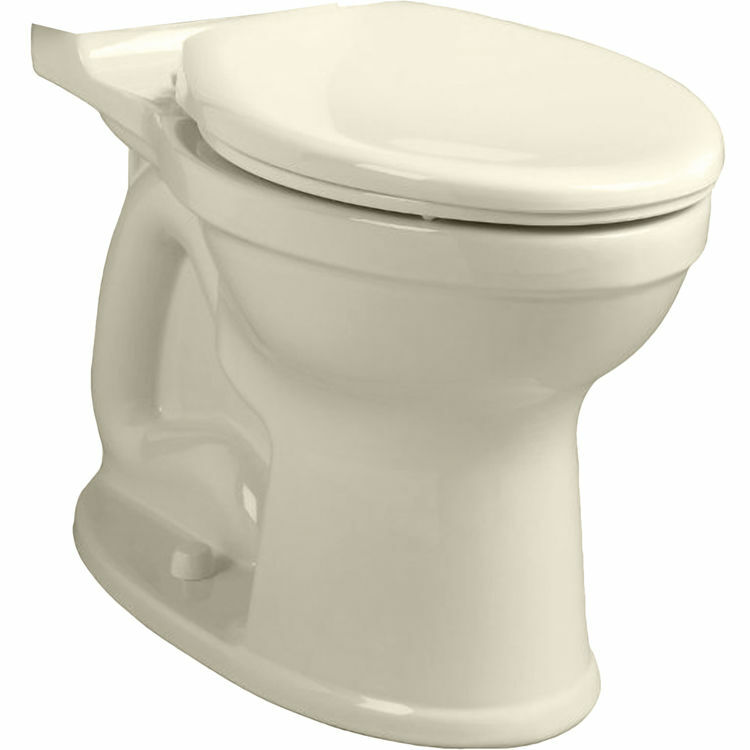 This toilet bowl features a 16-1/2" rim height, a 12" rough-in, an EverClean surface that inhibits the growth of bacteria, mold, and mildew, a PowerWash rim that scrubs the bowl with each flush, a chrome-plated top-mounted push-button actuator, a sanitary dam on the bowl, a fully-glazed 2" trap way, and 2 color-matched bolt caps. Shipping Dimensions 28.4" x 10.8" x 18.1"